Why does Greenhouse emphasize the Fine Arts? As Christians, we have a tremendous opportunity to communicate to a culture desperate for the good, the true and the beautiful. The fine arts help foster such an orientation in children. Performing Arts involve many skills that are vital to effective servant leadership. As students work in ensemble they begin to recognize one another's strengths and compensate for one another's weaknesses. Learning to work together for the common good is a vital life skill. 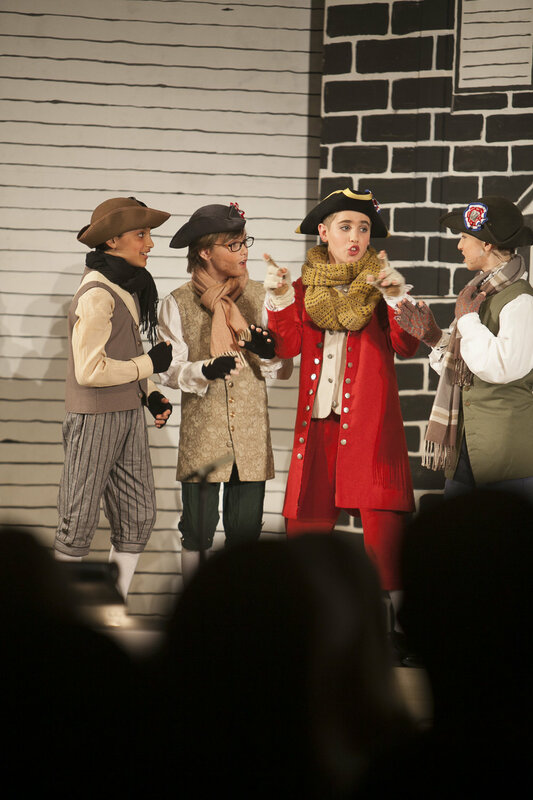 Through drama, students place themselves in another person's shoes as they develop a character's role. Similarly, a servant leader should be able to appreciate and empathize with different kinds of people. Contrary to a celebrity mindset, students are taught to view their performances as service, a chance to give a gift and to bless others. Sadly, our culture is awash in ugliness and tawdry expressions of pseudo-beauty. Training in the visual arts helps students to begin to see, and to be observant of what's happening around them. Through appreciation of masterful artwork, students become aware of and appreciate beauty. They learn that producing beauty often requires effort. The visual arts become another vehicle for blessing others and reflecting beauty which honors God. Servant leaders capable of bringing beauty into various situations will likewise bring blessing to those they serve.